186cc Big Bore Kit by Trail Bikes for the Honda GROM. 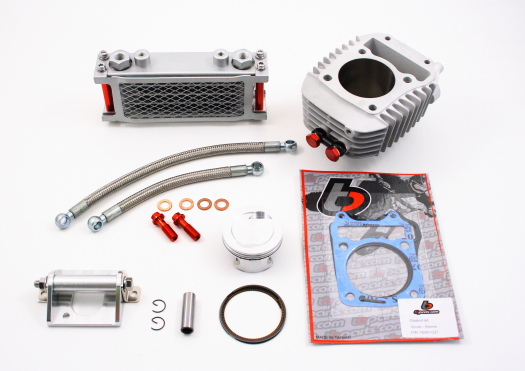 64mm Ceramic coated Aluminum Cylinder, 64mm Piston kit, 64mm Gasket Kit, And Oil Cooler. IMPORTANT NOTE: MUST USE AFTER MARKET FUEL CONTROLLER TO PREVENT A LEAN CONDITION AND DAMAGE TO YOUR ENGINE! !